Bow down before the tribune, ye citizens of Rome. Rich and poor, strong and weak, patricians and plebeians, hear your tribune's words! In Tribune, the players belong to the large and ambitious patrician families of Rome, and thirst for influence and power. By exerting dominance over the city's various factions, they seek the highest office of the Republic, to demonstrate that they are the primus inter pares - the first among equals. Will you win over the legions, be crowned with laurel wreathes, incur the favor of the gods, and be made tribune? 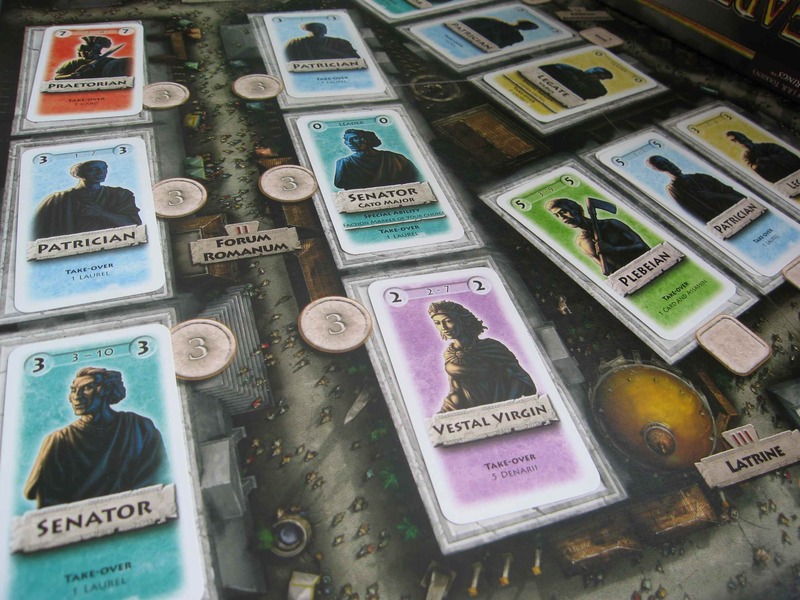 Make ready, and send your followers into the streets of Rome to win influential allies. The time has come to write history!